Even though there are significant benefits to using a wireless network, the wireless transmission of high-quality IFE content has always been just out of reach. The Cadami network technology solutions make it viable. 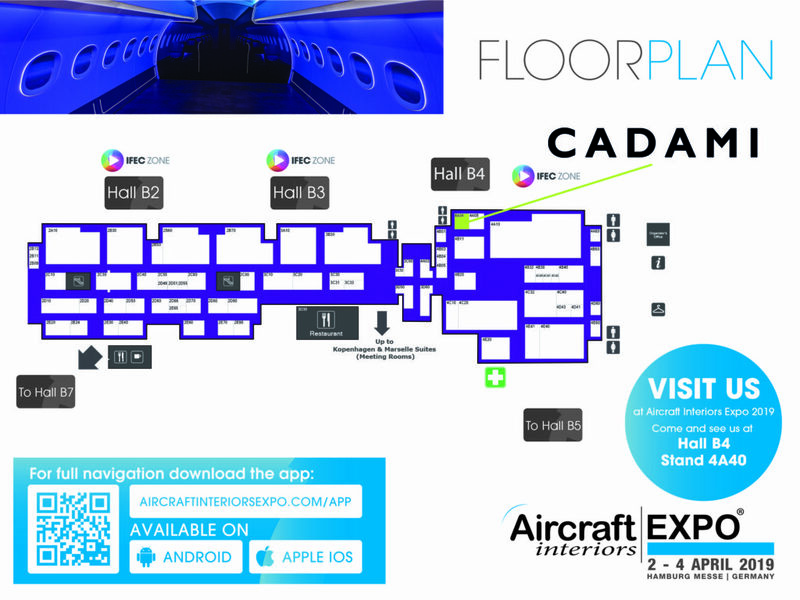 We’re going to Aircraft Interiors Expo in Hamburg, from 2-5 April, where we’ll be launching our new WiFi cabin technology. It is cheaper to install and maintain than a cabled network. Because it uses less cabling, it saves weight. And our Efficient Coded Caching technology solutions make the transmission of a huge library of high-quality content, to both seat back screens and passenger devices, efficient and reliable. Come and see for yourself on booth 4A04 in the IFEC Zone. We look forward to seeing you there.